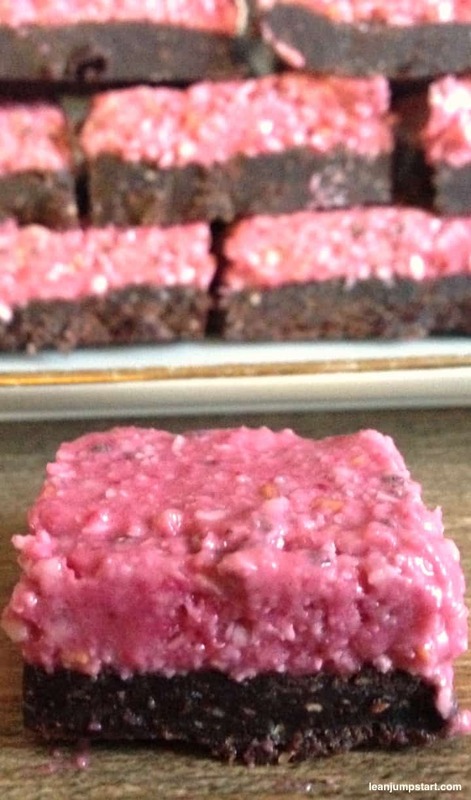 But…I have to admit that not all people will love these raw chocolate raspberry bites as much as we do (my daughter and me). My husband for example who is a “real chocoholic” doesn’t like them at all. So be prepared that people who are not used to raw chocolate based on dates and nuts might not share your passion for these fiber-rich raw chocolate raspberry bites. Overall it is again an easy clean eating recipe but you have to plan time for soaking dates and cashews. I recommend to start with preparation the night before. Blend cacao, almonds and coconut in your food processor until they have a flour-like consistency. Add dates and coconut oil and process again. Press the mixture with your hands in a square pan. Let it chill in the freezer while you prepare the next layer. Put all ingredients of the raspberry layer in the food processor and blend until combined. At last add chia seeds and mix for 2-3 seconds. Pour the raspberry layer over the base layer and put it back in the freezer to set for at least 3 hours. When firm remove from freezer and cut into bite sized pieces. 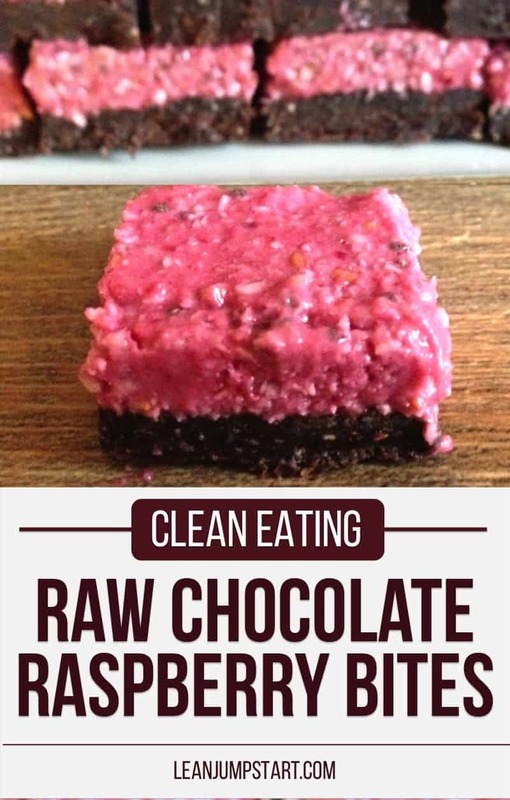 Store raw chocolate raspberry bites in the freezer and remove about 5 minutes before serving. You can of course cut them also in 9 large squares or 12 medium bars. I recommend however to go for the suggested 36 bite size squares. Due to the nuts and the addition of chia seeds this clean eating dessert is very filling and I feel my cravings for sweets are satisfied already after 1-2 little high fiber bites. 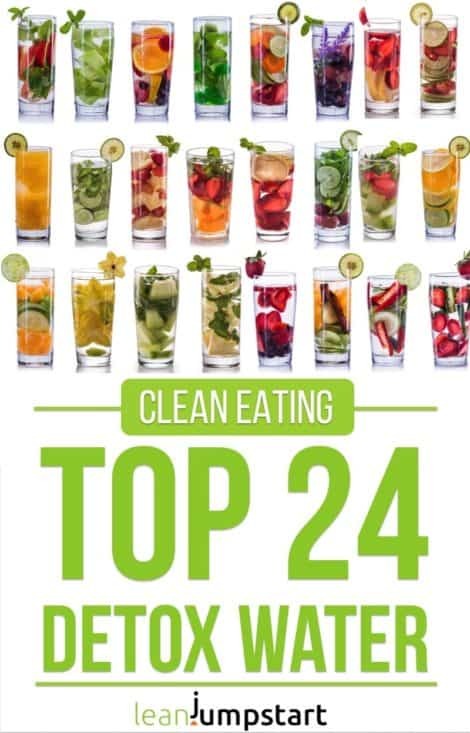 Did you know that optimizing your dessert and snacking habits is an integral part of my 52 Chef Habits Ecourse, featuring many mouth-watering, easy clean eating dessert recipes. Click here to learn more! I’m allergic to coconut is there a good alternative I can use in this recipe? this depends, if you can tolerate nuts. Desiccated coconuts can be replaced with ground nuts. I’d probably try it with cashews.